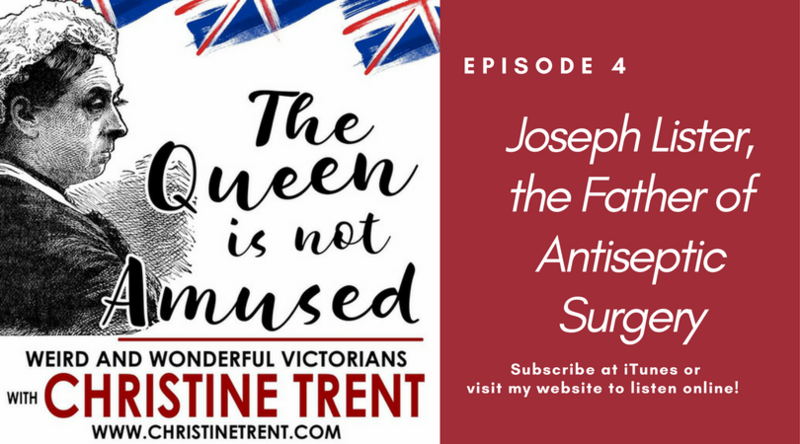 Welcome to the 4th episode of The Queen is Not Amused, where we examine the life of a truly wonderful Victorian, Joseph Lister. A British surgeon known as the pioneer of antiseptic surgery, Lister was single-handedly responsible for reducing surgical deaths by 80%. Inspired by Louis Pasteur and aided by his devoted wife, Agnes, Lister revolutionized the manner in which surgery was conducted. His life was a fascinating one, since his ideas about disinfecting equipment were initially met with scorn and mockery, yet he overcame all objections because he knew he was right. In this podcast, I will also answer the most important question of all: Was Listerine really named for Joseph Lister?